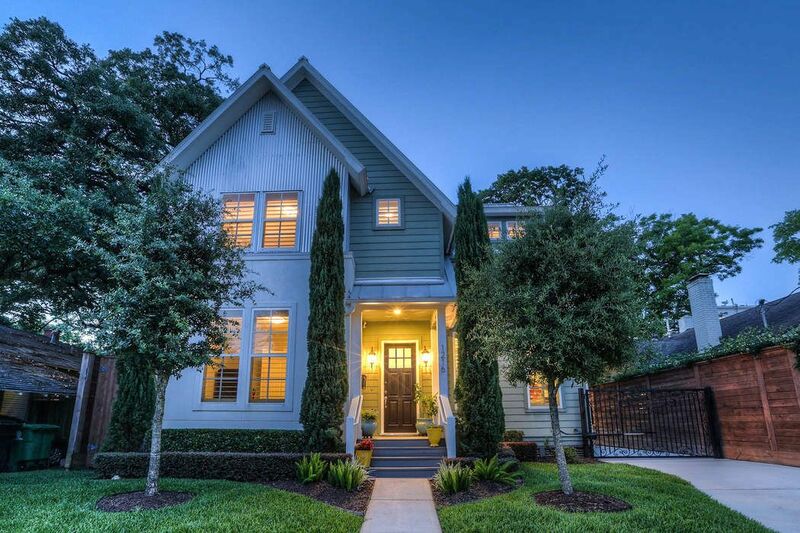 1216 Bomar Street, Houston, TX 77006 | Martha Turner Sotheby's International Realty, Inc.
Picture perfect Farmhouse traditional flanked by towering cedar trees. Magazine-worthy curb appeal is created by the blending of different textures and pristine grounds peppered with layered manicured hedges. Mahogany door graced by glass panel inserts, introduces the inviting entry where gleaming hardwood floors and 10 foot ceilings serve as an indicator of the quality used throughout the home. 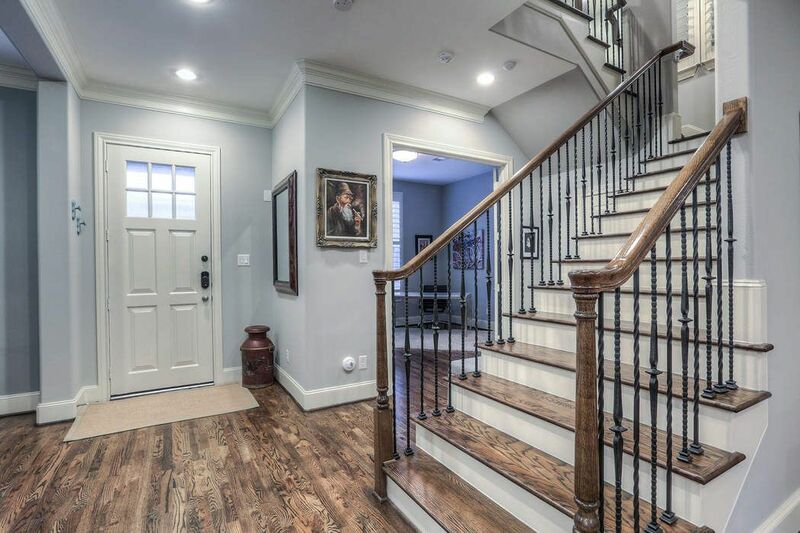 Wood treads and custom wrought-iron railing grace the staircase that serves as the focal point of the gorgeous entry. 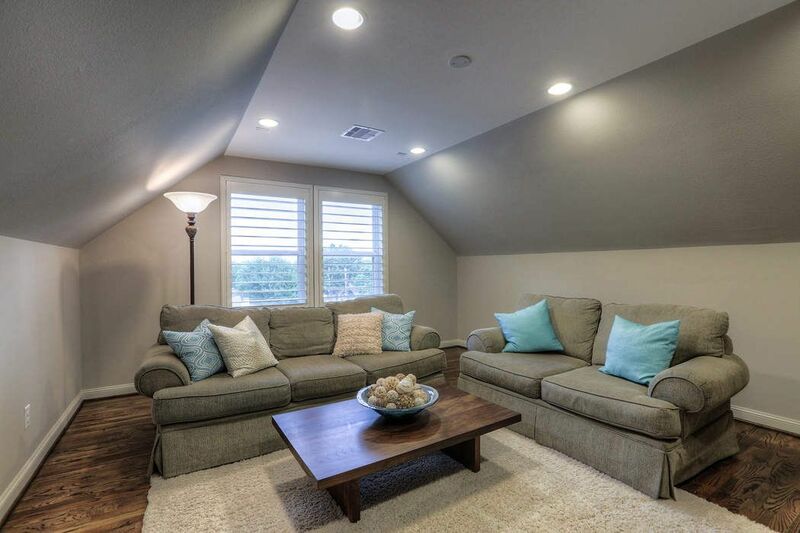 The open floorplan is bright and spacious and draws the eye toward the warm family room and kitchen. A pronounced openness is felt in the light-filled dining room which through plantation shutter dressed windows, employs a pretty southern view of the property. 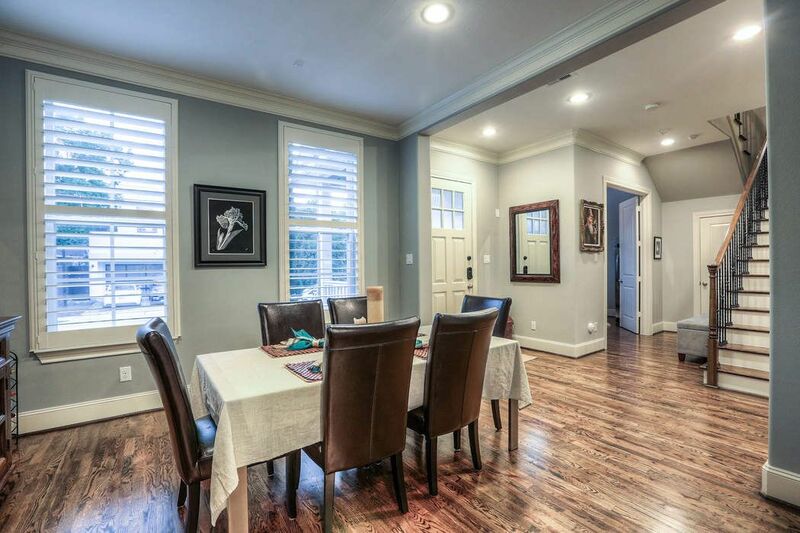 Double crown molding, hardwood floors, extended baseboards and recessed lighting signify smart elegance in the dining room that is perfectly positioned next to the gourmet kitchen. 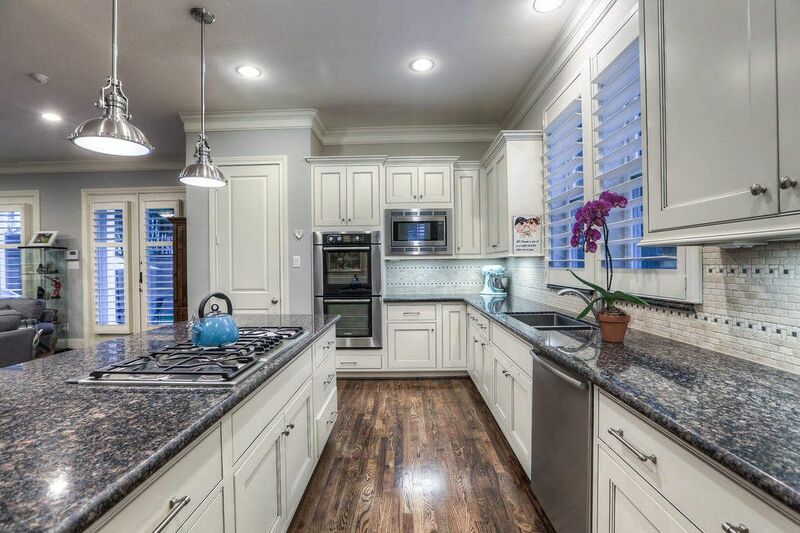 A cooks-delight kitchen is the crown jewel of this fabulous home. 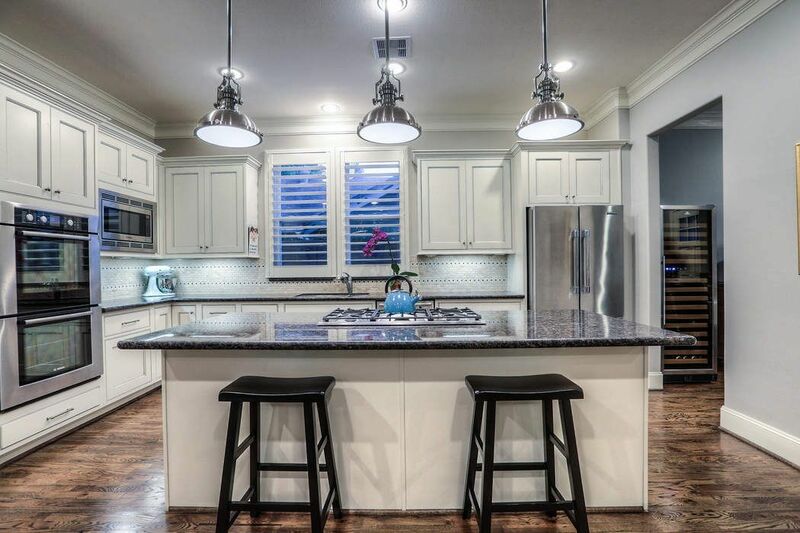 Appointments include custom cabinetry with mitered doors and 3” molding lift, nickel pull hardware, oversized Baltic brown granite island and triple chrome pendent lights. Fabulous amenities continue in the kitchen with Bosch stainless steel double oven, Bosch stainless steel 36” 5 burner cook top with down draft and Bosch stainless steel microwave and dishwasher. Firm, classic detail is interwoven in the living room where a handsome black marble surround fireplace is the focal point of the room. Dual insets flank the fireplace providing interesting space for furniture placement. Banks of windows allow abundant natural light and artfully interlace the beautiful backyard and patio with the indoors. 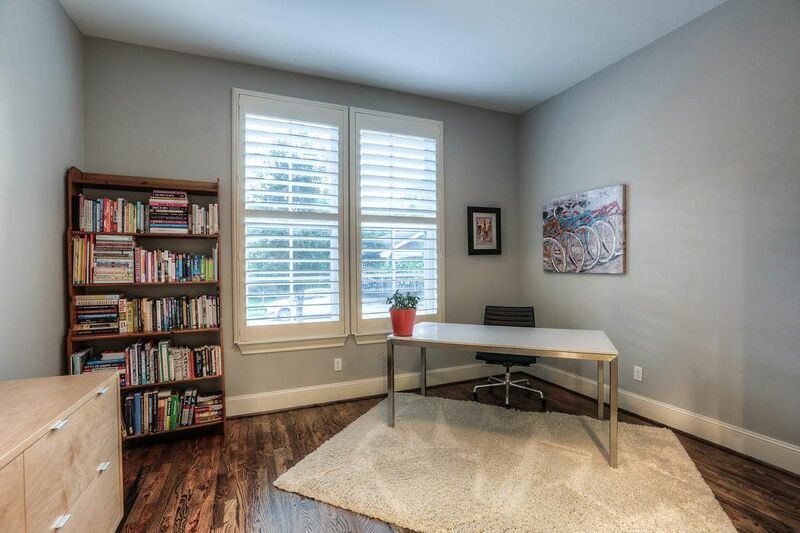 The study is located off the main entry and boasts hardwood floors and large windows yielding a pretty view of the front yard. 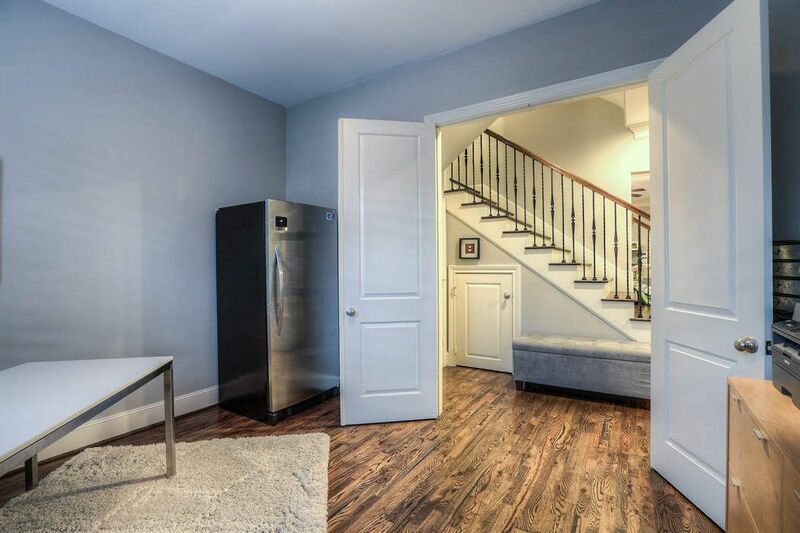 Double doors give the desirable option of privacy to the study. 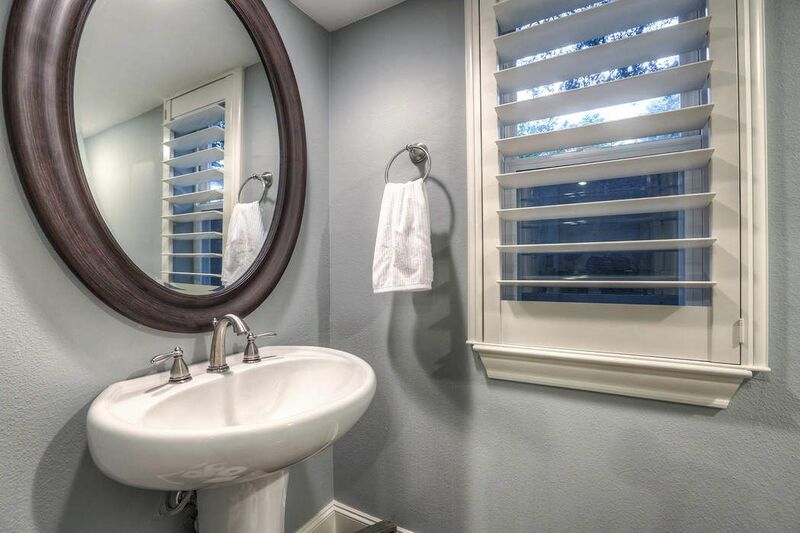 Pedestal sink, framed mirror, nickel hardware, plantation shutters and hardwoods complete the nicely appointed powder room. 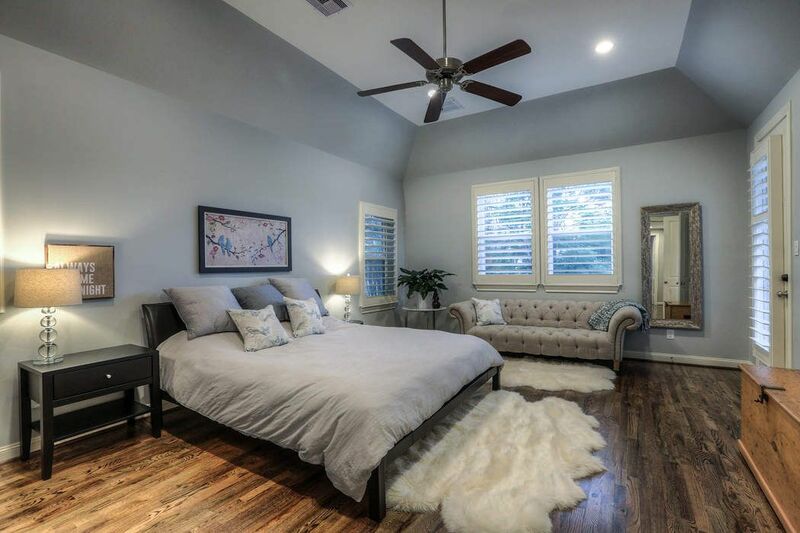 Expert craftsmanship continues in the upstairs master bedroom appointed with gleaming hardwood floors, tray ceiling and plantation shutters. 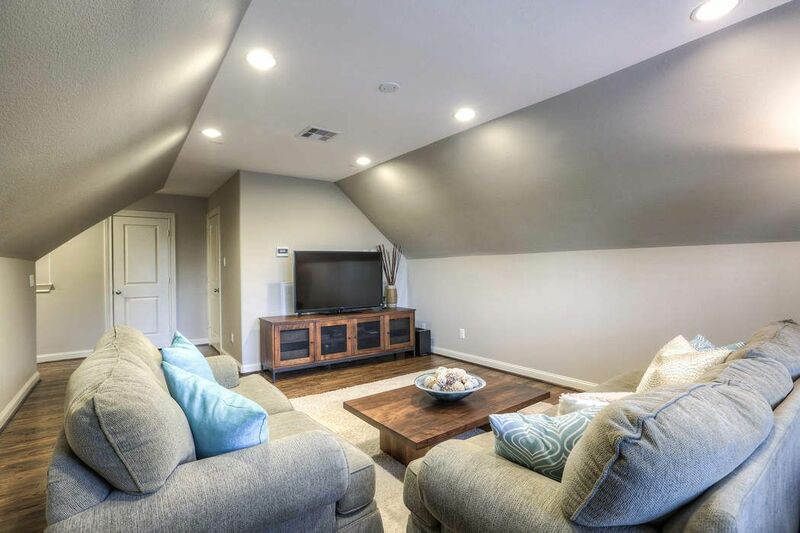 Paired with sophistication and quality, the master is perfectly positioned off the upstairs main hall providing a feeling of secluded removal. Large walk-in closet with pulldown racks, built-in shelving and hanging racks. 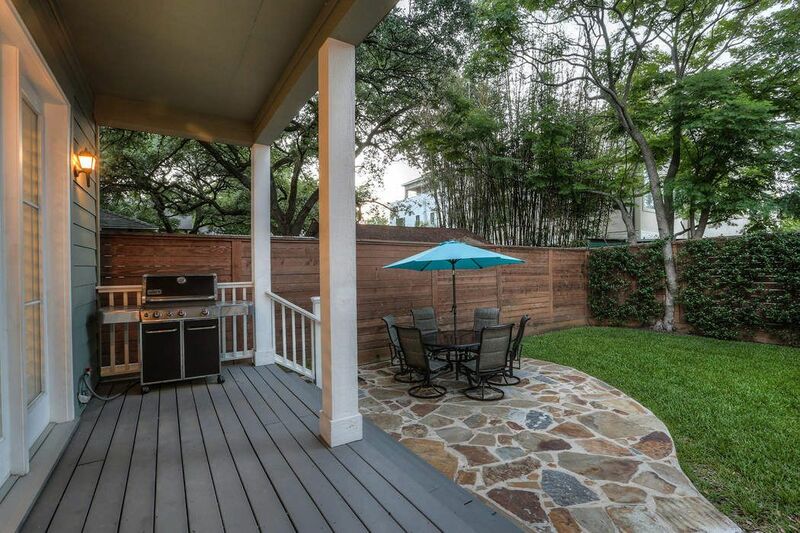 A private patio offers a welcome retreat for morning coffee and reflection. 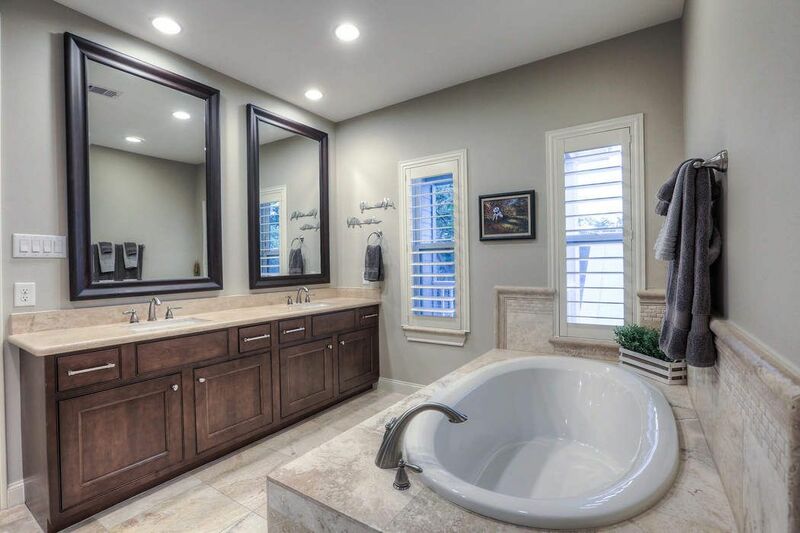 The quality-laden master bath features dual sinks, marble countertops, travertine flooring, walk-in shower with tile surround and built-in bench. Soaking tub with tumbled stone border and marble cap rail border, custom cabinetry and nickel hardware. 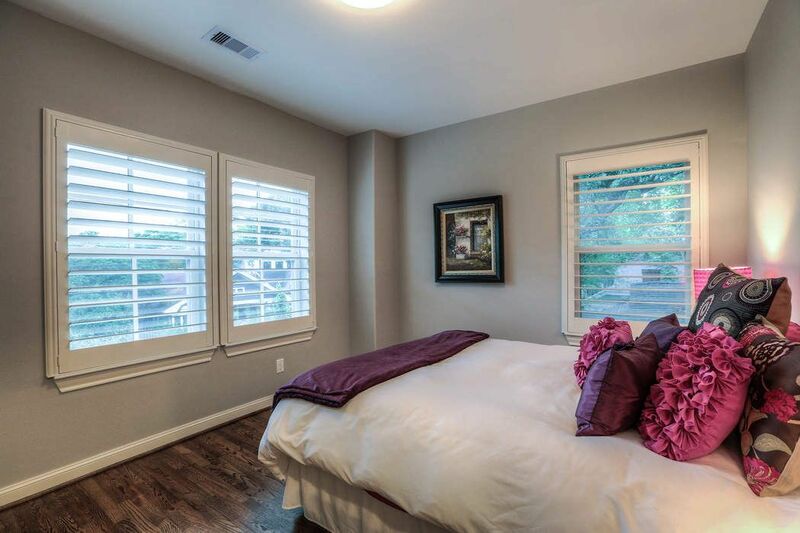 Delightful secondary bedroom enjoys abundant natural light thanks to two clerestory windows and main window both dressed in plantation shutters. Custom-fitted walk in closet. 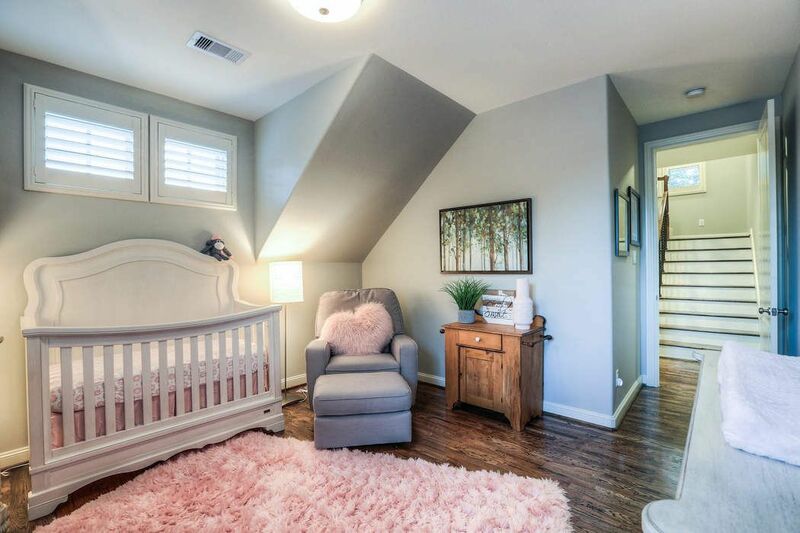 Charm exudes from the architecturally interesting bedroom featuring angled walls and hardwood floors. Well-appointed secondary bedroom enjoys serene treetop views thanks to three divided light windows. Custom-fitted walk-in closet. Cloaked in designer paint, a soothing effect is felt in this secondary bedroom that features intriguing clean lines. 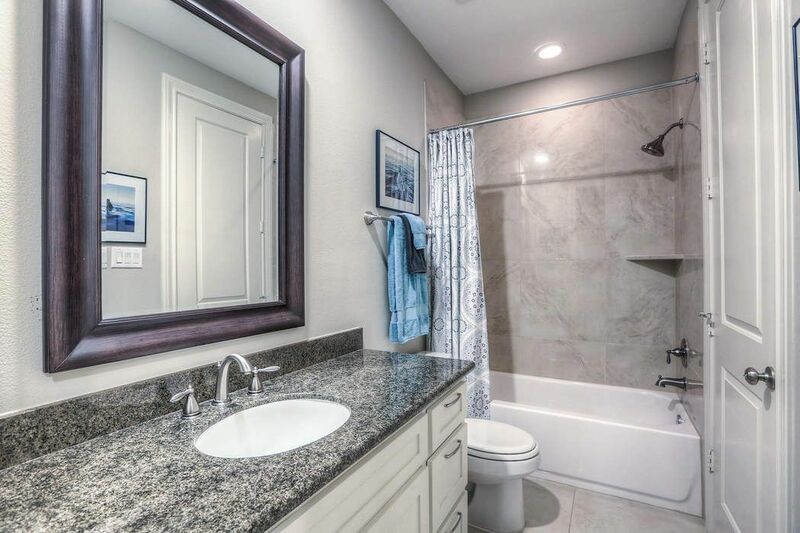 Located off the main hall, this secondary bath boasts tub/shower with tile surround, custom 6 drawer oversized vanity sets, marble flooring, granite countertop and custom nickel hardware . 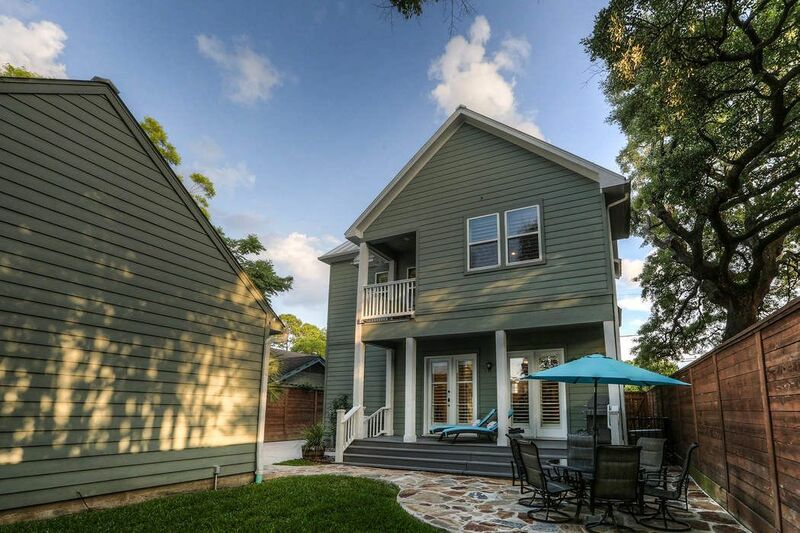 The third floor is home to this fabulous multi-angled charmer that enjoys views of downtown Houston! 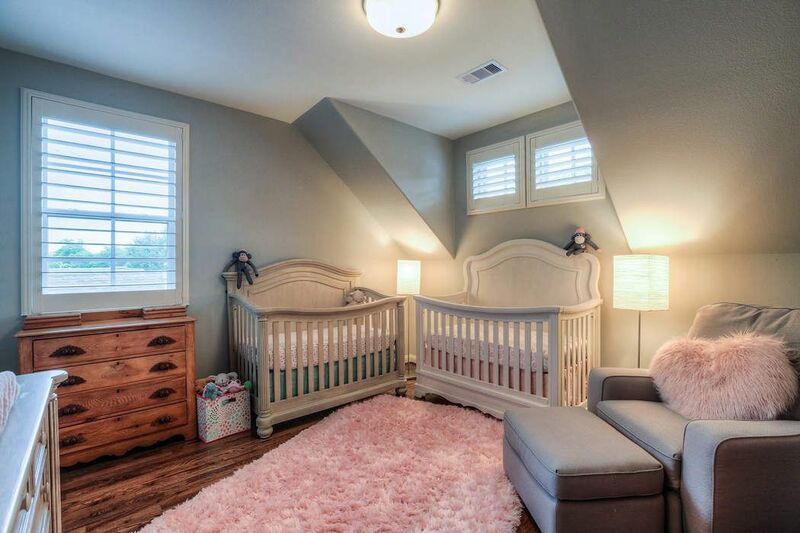 Boasting hardwood floors, it has a custom-fitted walk-in closet with built-in shelves. Superior finishes continue in this custom jewel as hardwood floors and interesting architecture were utilized in this versatile space. 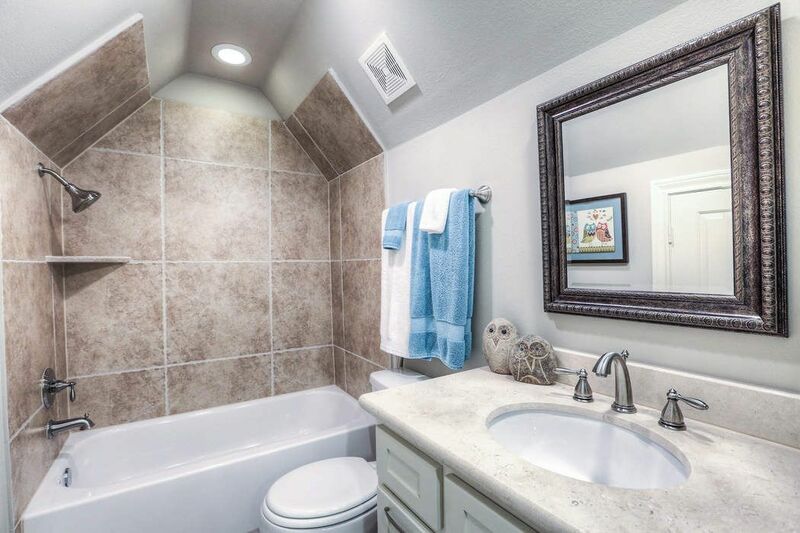 A full bath is conveniently located close by. 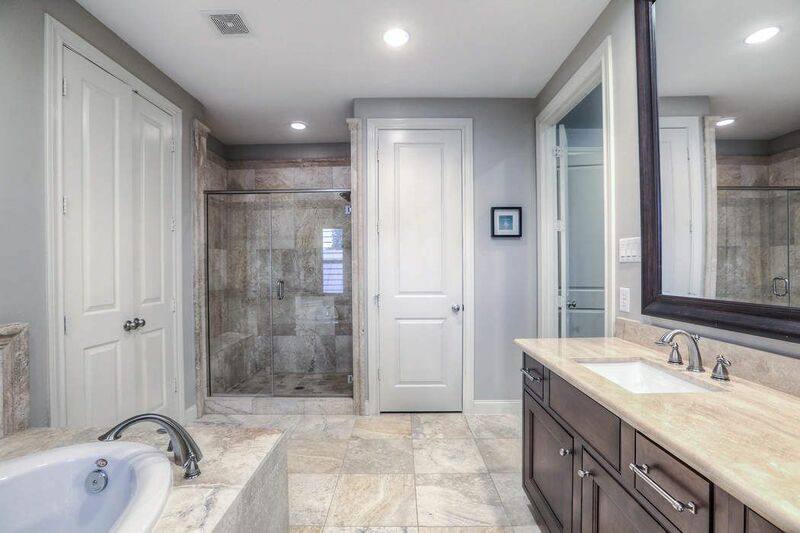 This third floor bathroom keeps the continuity of the angled design and features tub/shower combo with tile surround, large vanity and granite countertop. 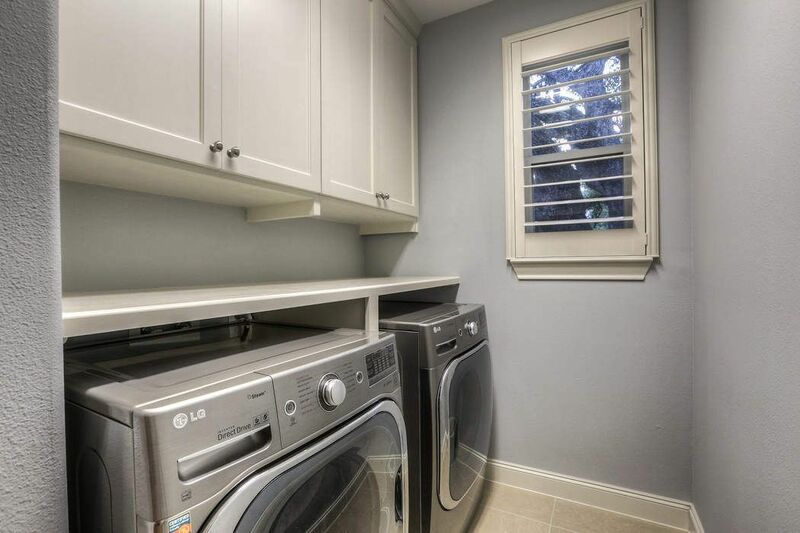 The utility room boasts custom cabinetry, nickel hardware, built-in folding table and gas & electric wash/dryer hook ups. 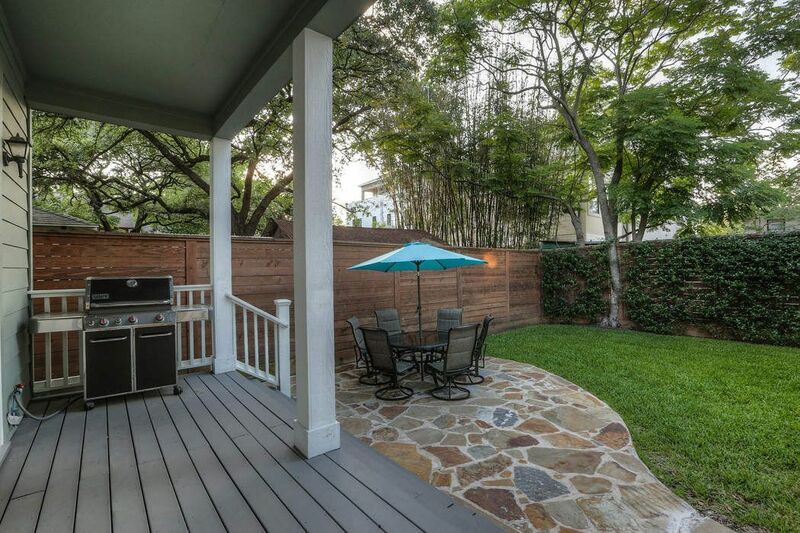 Picturesque backyard is replete with flagstone patio and inviting covered porch perfect for entertaining. Great view of the exceptional rear exterior of the home. 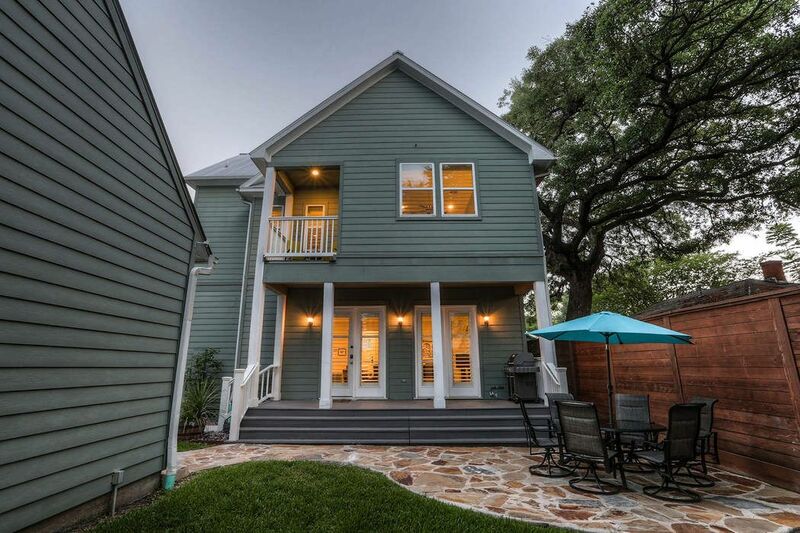 Picture depicts the charm that encompasses the entire property. 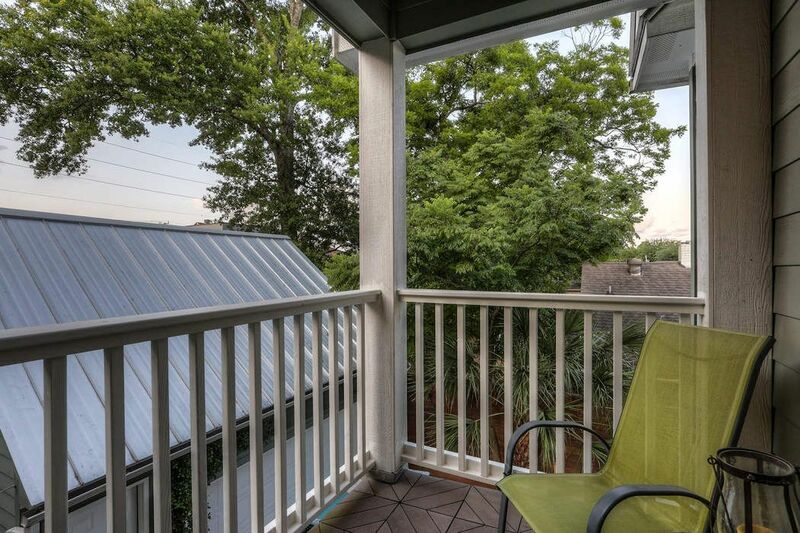 Expansive back porch has access to the two car detached garage . 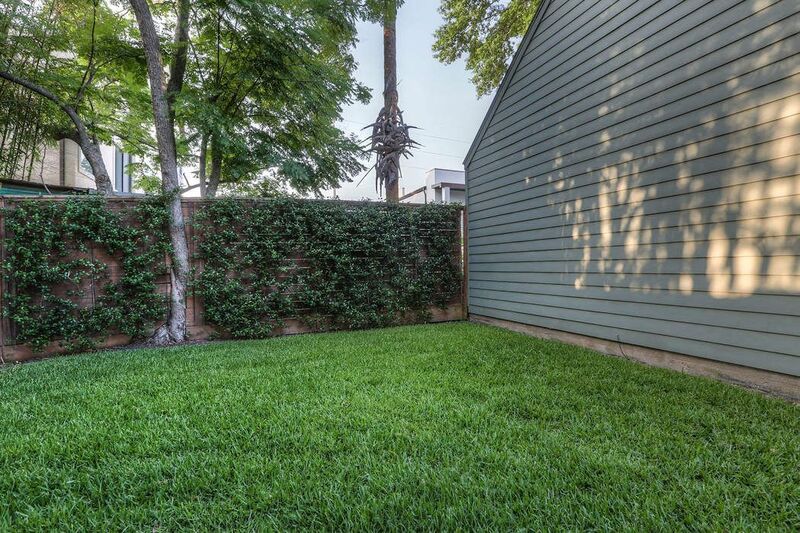 Grassy lawn is accompanied by a privacy fence laced with greenery as its backdrop. Poised for outdoor enjoyment, the covered porch and flagstone patio add a dimension of comfort to the relaxed lifestyle. Sited to embrace inviting views of the rear grounds, multiple windows and doors were utilized to showcase the beauty of this premier homesite. 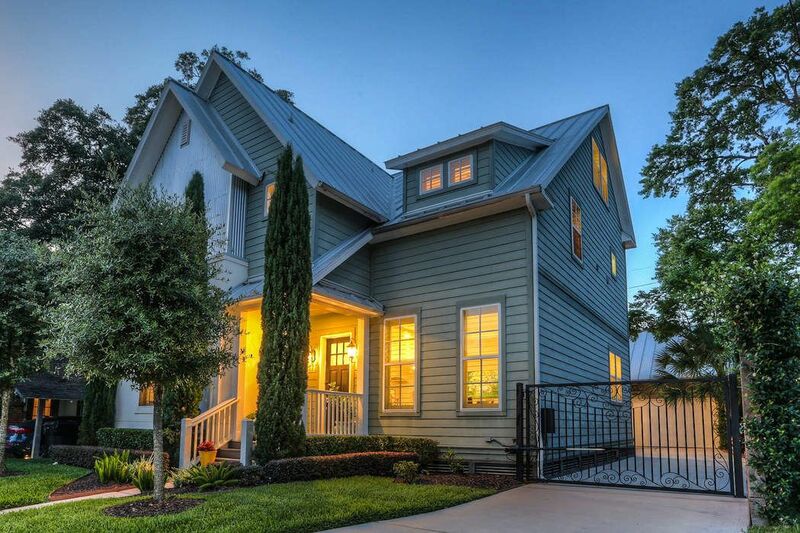 The standing seam roof , professionally landscaped yard and automatic wrought iron driveway gate, champion the thoughtful planning and design that were used to create this charm-filled residence. 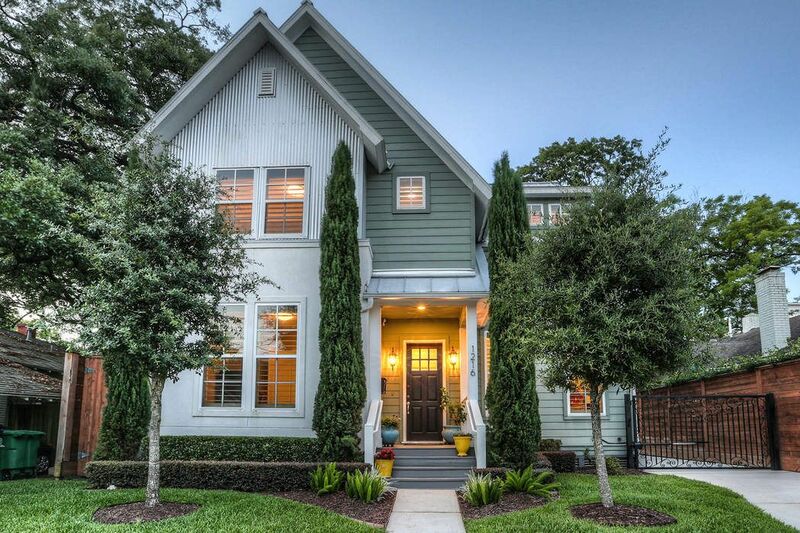 A welcoming front porch leads to the unique Farmhouse styled home where world class shopping, fine dining and downtown Houston are only minutes away. Sparkling drive, privacy wrought iron gate and professionally landscaped grounds enhance the overall appeal of this Farmhouse traditional jewel. Hard to imagine anything more perfect! 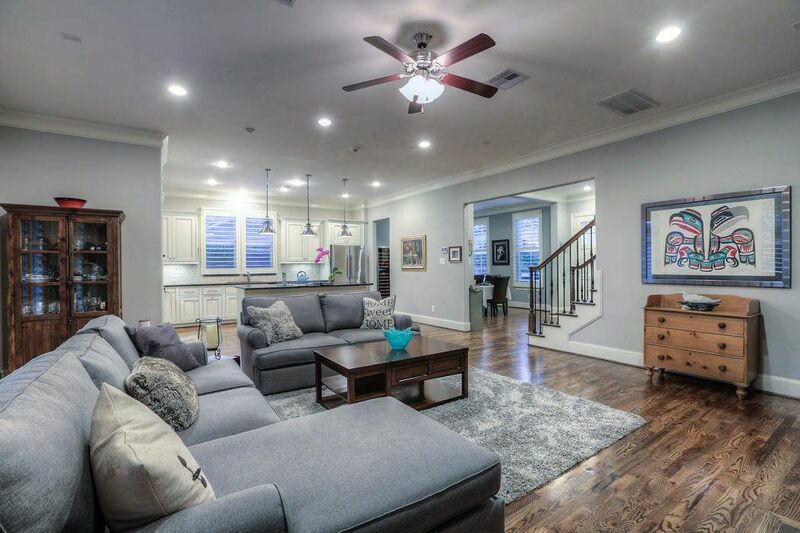 $925,000 4 Bedrooms3 Full / 1 Partial Baths3,106 sq. 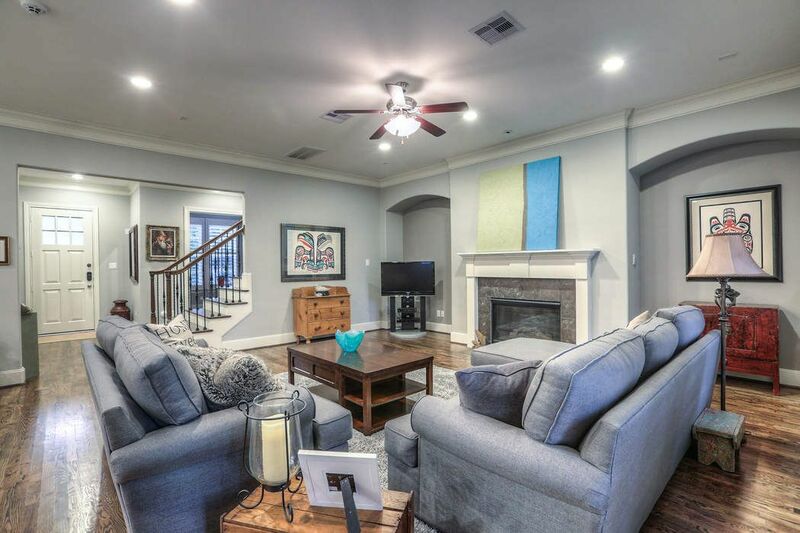 ft.
Picture perfect Farmhouse traditional home located just minutes from downtown Houston and upscale shopping and fine dining. Flanked by towering cedar trees, magazine-worthy curb appeal is created by the blending of different textures and pristine grounds peppered with layered manicured hedges. The immaculate grounds and electronically controlled wrought iron gate add to the appeal of the well-appointed property. A welcoming front porch leads to the quality-laden home that is anchored by gorgeous hardwood floors and steeped in fine millwork throughout. 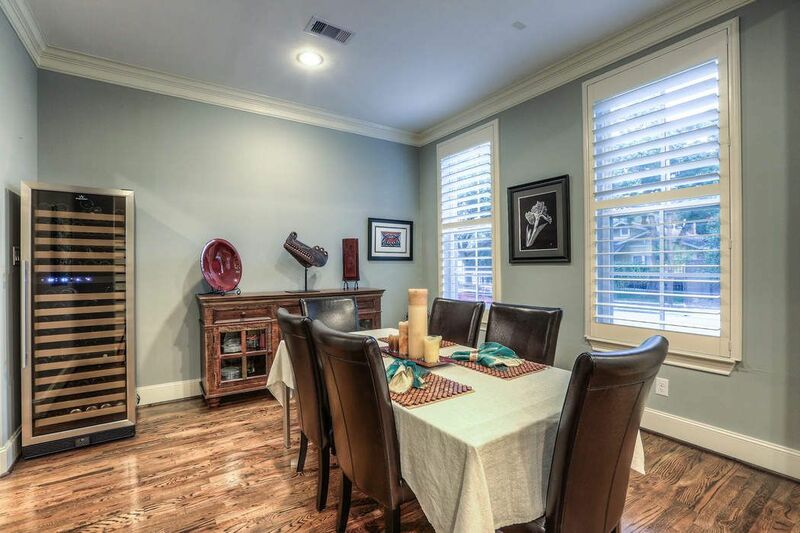 Smart elegance is employed in the dining room and study where plantation shutters, extended baseboards and overall charm embrace the rooms. 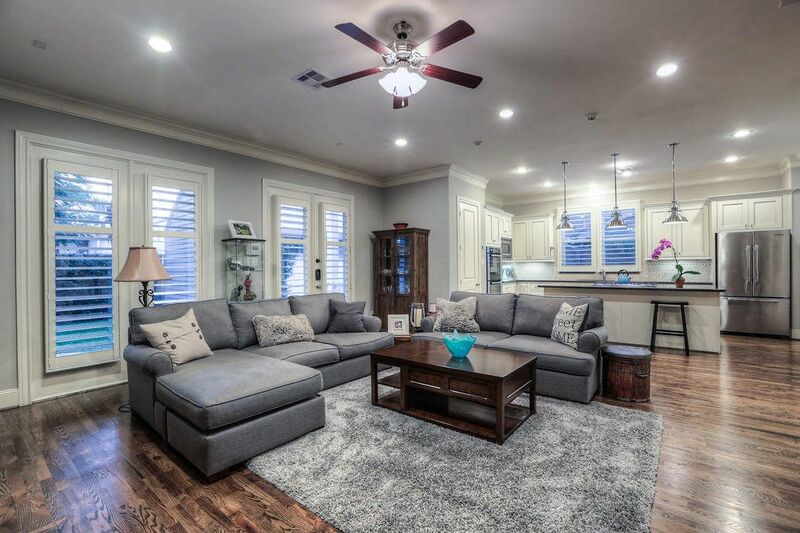 The open floor plan is bright and spacious and draws the eye toward the inviting family room and kitchen. Firm, classic detail is interwoven in the family room which boasts a black marble surround fireplace, dual insets framing the fireplace for placement of furniture, multi-piece molding and recessed lighting. French doors lead to the alluring outdoor spaces where a flagstone patio and private fence provide the perfect setting for relaxation. 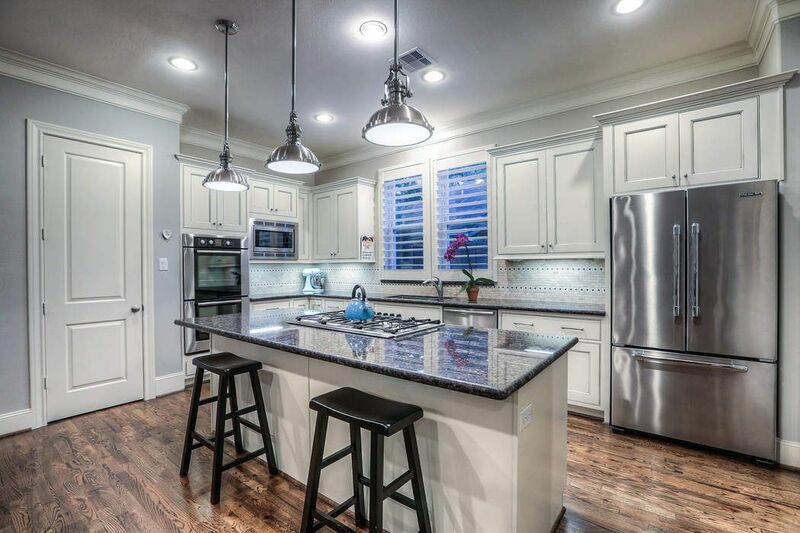 Highlights of the kitchen include stunning cabinetry, granite countertops with custom tile backsplash, Viking and Bosch appliances, huge walk-in pantry and fabulous granite island, perfect for the gathering of friends and family. 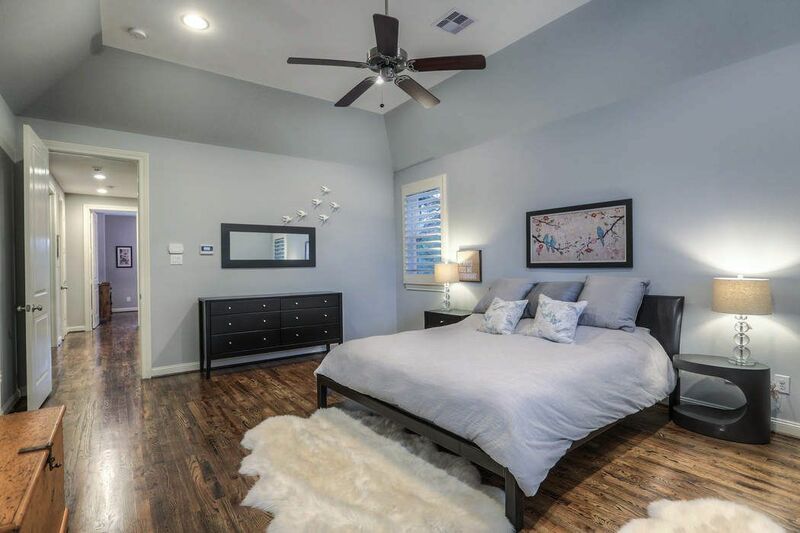 Paired with sophistication and quality, the upstairs master bedroom boasts a tray ceiling, hardwood floors and lavish master bath. 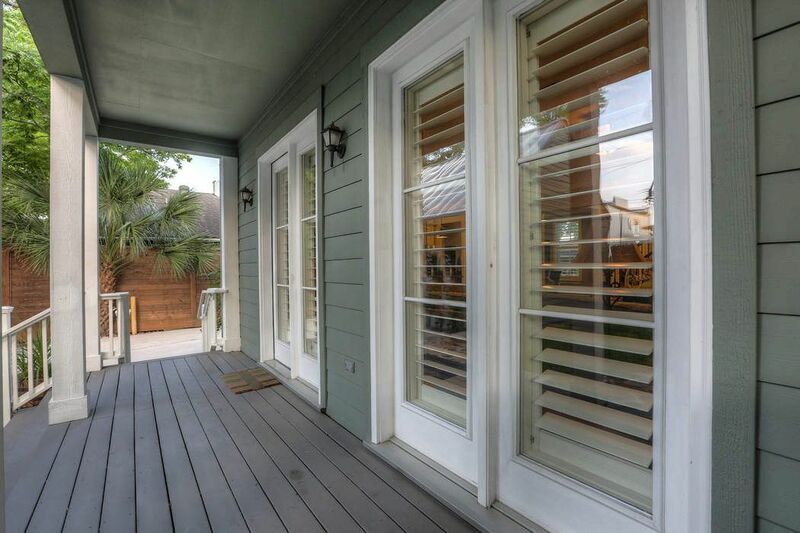 A private patio offers welcome seclusion for morning coffee and reflection. 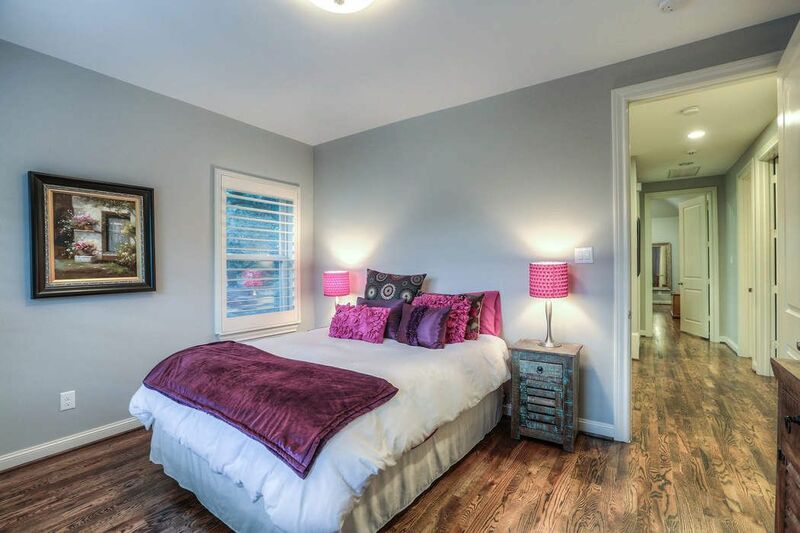 There are two finely appointed bedrooms and bath, and large laundry room on the second floor. 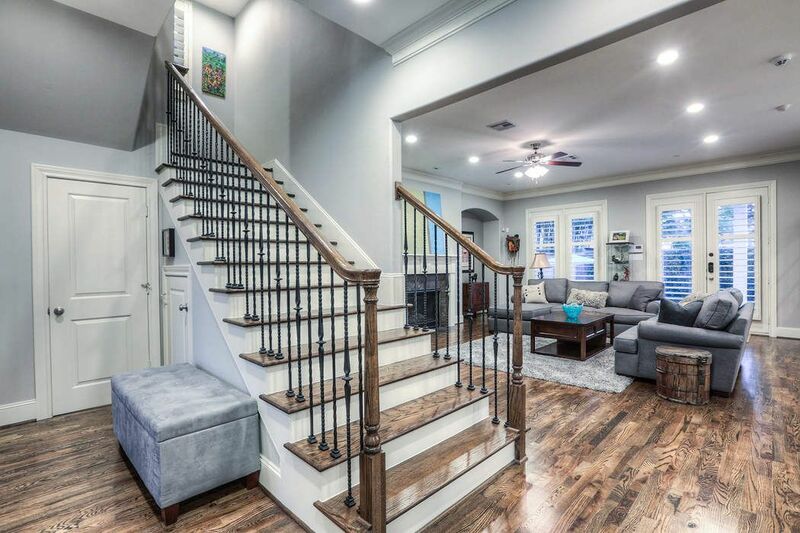 The extraordinary wooden staircase ascends to the third floor where architectural interest continues as a multi-angled bedroom/game room enjoys a treetop view of downtown Houston! There is also a full bath. 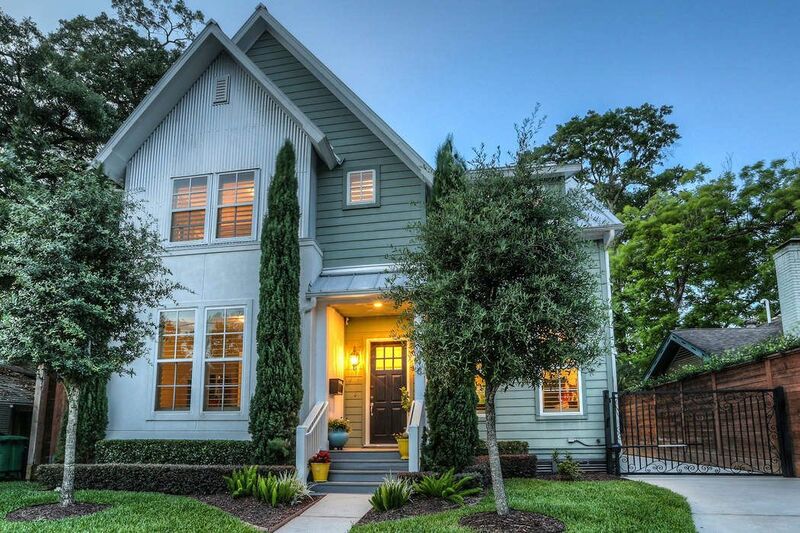 The timeless “farmhouse” appeal and great location set this home apart as real jewel.